Irish–born dressmaker to New York’s elite, Mrs. Catherine Donovan (1826?-1906), studied fashion in Paris. 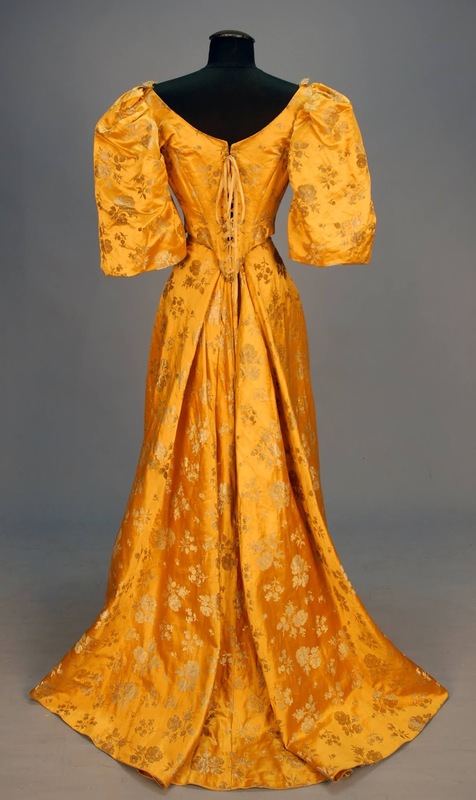 Donovan created her gowns in her fashionable shop and showroom in New York. By 1900, she was located on Madison Avenue. 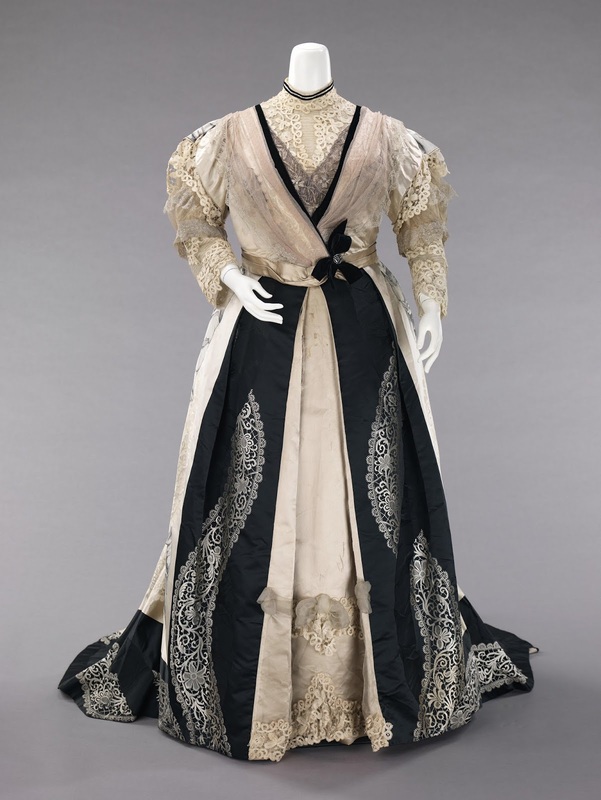 In addition to her designs, which were heavily influenced by French couturiers, she also sold gowns by Worth and Pingat. 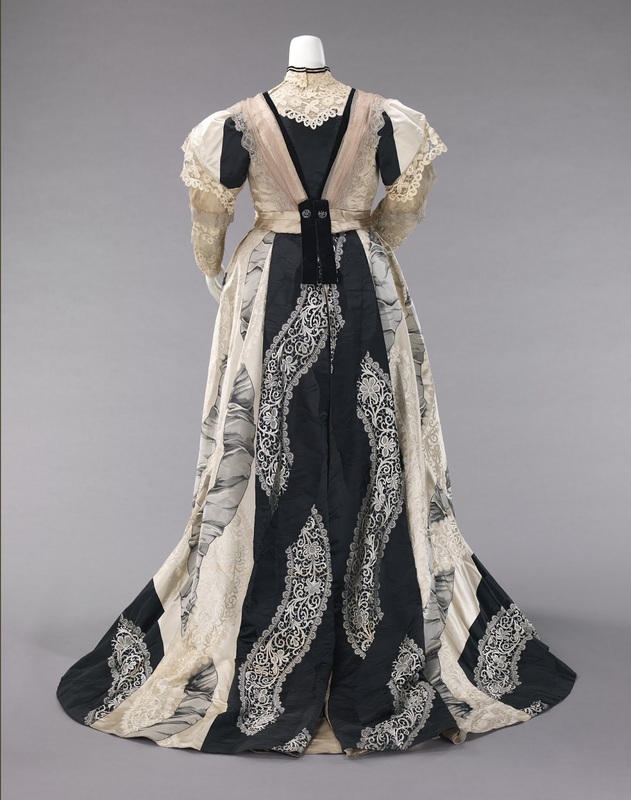 In her use of materials and her design idioms, she favored the historical references employed by her French contemporaries. 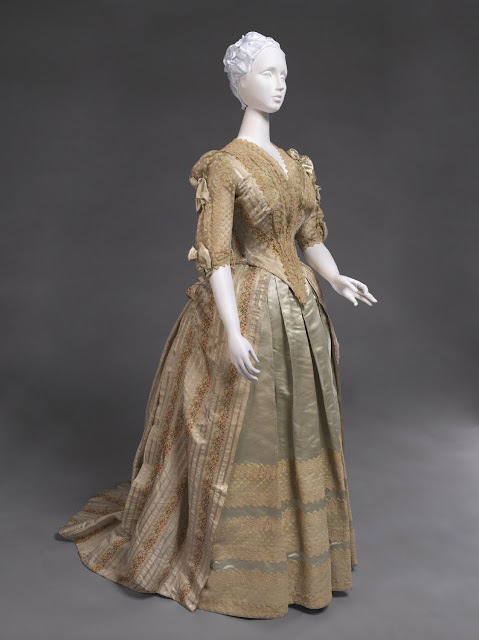 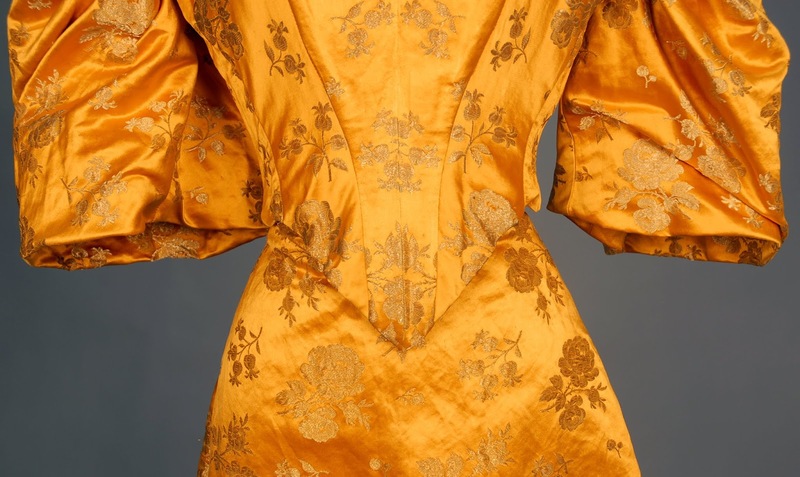 Numerous evening, and afternoon dresses, and ball gowns survive in North American museum collections, and they frequently come up in auctions as well. 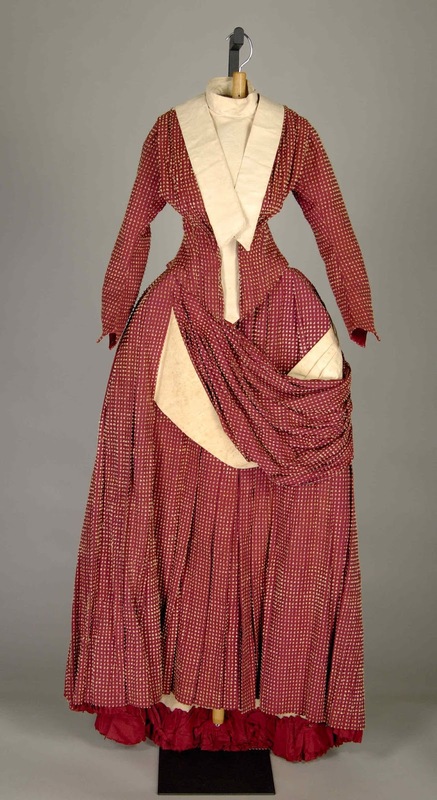 It is clear that Donovan was able to provide a wide variety of styles for her discriminating and affluent customers. Here, a red and ivory checked cotton dress, complete with ivory cotton dickie, c. 1885 from the Metropolitan Museum of Art. 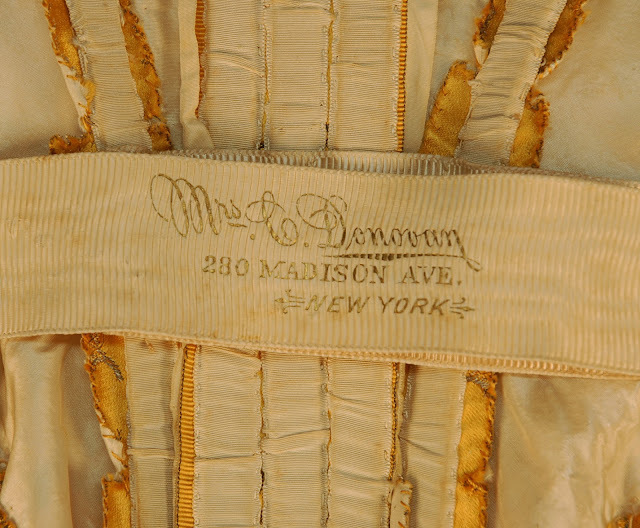 Fortunately, her name and address is stamped on her petershams, providing an opportunity to trace her various locations from the 1880s through the early 1900s-- "Mrs. C. Donovan/315.5th Ave./N.Y.," "Mrs. C. Donovan/245 5th Ave./New York," or "Mrs. C Donovan & Co/280 Madison Ave./ New York."